Everest Academy: CANCELLED!!! May 20, 2016 Pinson: End of the Year Swim/Picnic/Hike, etc... CANCELLED!!! CANCELLED!!! 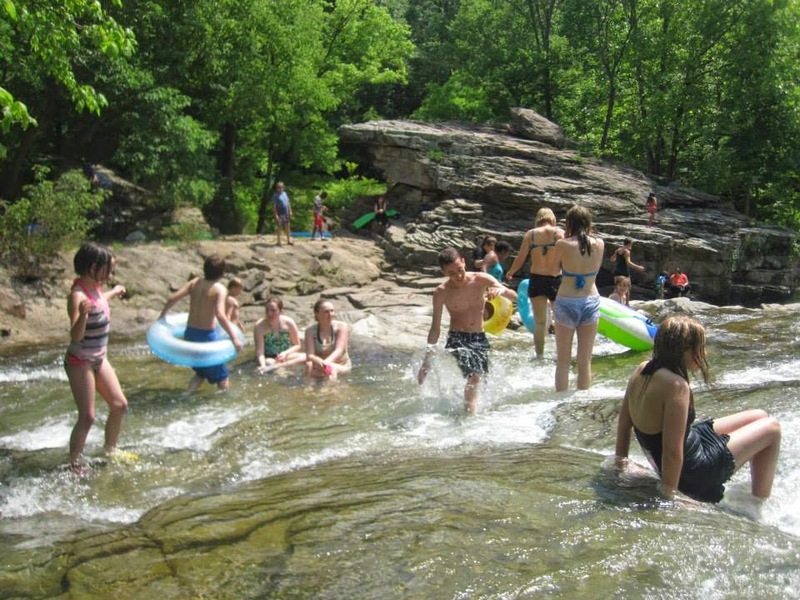 May 20, 2016 Pinson: End of the Year Swim/Picnic/Hike, etc... CANCELLED!!! CANCELLED!!! Boo hoo! This party has been cancelled due to 80% chance of rain. Sponsored by Everest Academy but open to all homeschoolers! Don't forget the teens! We will meet at the main swimming area called "the falls", located at the first large parking area you come to on the one-way entrance road. This is an awesome place to swim, hike, and picnic. Make sure to bring a float for the "natural slide". Also, the rocks in the swimming area are super slick, and it is recommended for everyone (especially kids) to wear old socks. The socks grip better than anything else we've found, even shoes specific for swimming/hiking in streams. There is a very shallow area for the littles to play in. Don't forget sunblock! The area has some shade, but the swimming area is very sunny. There is a small, flat open space at the swimming area for playing games as well as hiking trails for those who do not wish to swim. Turkey Creek is a great place for families, and we look forward to seeing you there! Anything else you will need to have an awesome time!!!! Please contact Esther Crawford at roamschool@gmail.com with any questions.